With the collapse of communism in the 1990s, countries in Central and Eastern Europe that had previously been under Soviet hegemony were clamouring to be part of the Union and from 2004 onwards, most were brought into the fold. By 2013, the European Union had swelled to 28 member countries. Prior to the accession of the Central European nations in 2004, the economic disparities between member countries were relatively small. There had been no compelling desire among people within nations to migrate in large number to other countries. Consequently, net migration between member states — the numerical difference between those emigrating and those immigrating — was small and manageable. This was important because one of the fundamental principles of the EU is that the benefits and access to such public services as education and health offered to one’s own citizens must be offered to citizens of all member states. To citizens of the newly joined states in Central and Eastern Europe, the rich countries of Western Europe and especially the UK with its English language, free health service, and generous welfare benefits acted as a giant magnet to many eager to start a new life abroad. 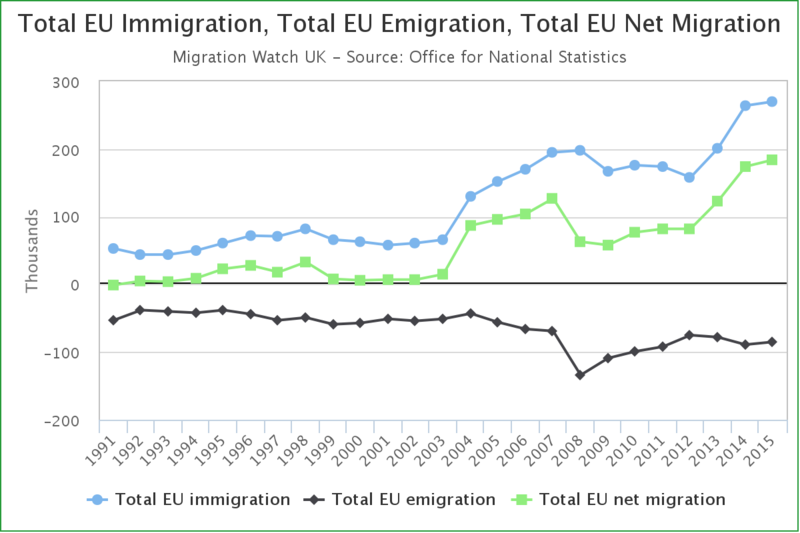 Over the past ten years, net migration to the UK from the EU has exceeded one million. 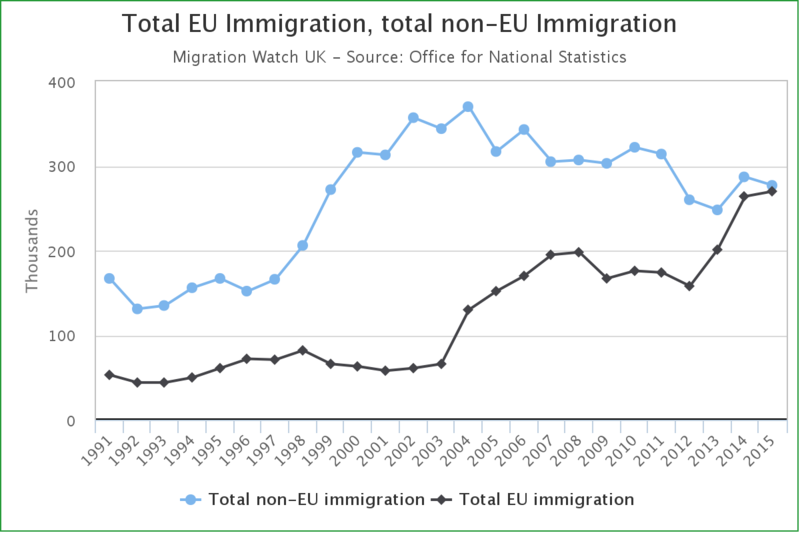 This number, it should be noted, is still significantly less than the number of non-EU migrants who entered the UK during the same period. In total, the UK population has grown by 10% since 2000. The pressure of this added population is experienced by British citizens in the form of housing shortages, overcrowded school classrooms, longer waiting times for doctors’ appointments, and in the changing face of the nation’s high streets. While studies show that migrants are net contributors to the UK economy, the lingering perception of many, especially among the working classes, is that foreign workers are responsible for depressing wages and taking away jobs (they tend to ignore the fact that many migrants perform such low wage jobs as cleaning offices, serving in coffee shops, picking fruits and working in care homes — jobs that many British workers choose not to do). It was these sentiments that the nascent UK Independence Party (UKIP) tapped into in the 2015 UK election. Campaigning largely on a platform of the need to wrest back control of the nation’s borders from an unelected European bureaucracy and stem immigration, they attracted a large number of votes from both main parties, but most especially from the Labour Party, whose traditional power base has been the working class. By splitting the opposition vote, UKIP allowed the Conservative Party to attain power with a surprise majority, defying the predictions of pollsters. However, the Conservative Party itself has long been ambivalent regarding the UK’s membership of the European Union. The primary concern of the so-called Euro-sceptics within the party was a growing appropriation of national sovereignty by a European elite intent on building a federal European state. In a bid to silence the Euro-sceptics, Prime Minister David Cameron agreed to hold a national referendum. When the referendum was first announced, it was expected the majority of people would vote to remain. However, against a backdrop of acts of terrorism in Europe, war in Syria, and daily reports of refugees pouring into Europe’s southern countries from North Africa and the Middle East, those wishing to leave grew in both strength and number. The Remain campaign’s arguments focused on the economic benefits of the Union and the likely huge costs to Britain in terms of loss of trade and inward direct investment, as well as the long-term damage to Britain’s financial sector. Pronouncements by major institutions including the IMF and OECD reinforced these assertions. Janet Yellen, Chair of the U.S. Federal Reserve, and Barack Obama added their voices too. The Leave campaign brushed off the economic arguments with “no-one really knows the future” and focussed on issues of immigration, the regaining of national sovereignty and control of the country’s borders. Ironically, when the votes were counted, it was those same voters in England who had helped the Conservative Party to take power so convincingly in 2015 by voting for UKIP instead of the Conservative’s main rival, Labour, who now scuppered the hopes of the Remain campaign. The fallout has been immediate and immense. The exchange rate has plummeted. The Prime Minister has announced his resignation. The Conservative Party is in the throes of a leadership battle. So too is the Labour Party because many believe their left-wing leader, Jeremy Corbyn, deliberately soft-pedalled in his support for the Remain campaign. Leaders in Scotland, where the overwhelming majority voted to remain, are now talking about another referendum to secede from the UK (they had one in 2014 in which 55% of the population voted to stay) and seek their own membership of the European Union as an independent state. Northern Ireland, a part of the UK, also voted to remain and now faces the prospect of becoming the UK’s new border with the EU through the currently open border it shares with the Republic of Ireland to the south. The vote has also highlighted deep divisions within England itself, with majorities in cosmopolitan London and the South East along with the cities of Oxford and Cambridge voting to remain and those pretty much in the rest of the country voting to leave. But perhaps the biggest division is between the old and young. Around 75% of 18 to 24-year-olds voted to stay. Many now feel their future has been irredeemably compromised by a backward-looking, less tolerant older generation, hankering for a bygone era. Meanwhile inside the EU, European leaders are in a state of shock and keen to act quickly to head off growing nationalism and calls for independence within their own countries. They are very conscious that these could tear their countries apart in much the same way as is happening within the UK. Nationalist movements are already very powerful in France, the Netherlands, Austria, and Greece, and gaining in ascendancy elsewhere. The whole future of the European project is at stake and, in the absence of reform, the Union may well collapse. Looking further ahead, the UK is about to embark on a huge leap into the unknown. The dwindling of inward investment from foreign companies who use the UK as a base for their European operations and the loss of jobs within the UK’s thriving financial sector promise to be as dire as predicted. If Moody’s and other ratings agencies do decide to downgrade the UK’s triple-A credit rating, the cost of servicing the country’s huge public debt will further add to the country’s woes. People will continue to have differing views on the question of sovereignty and political control. But if the world is to move beyond nationalism, then regional blocs such as the EU, despite the many challenges and drawbacks, offer citizens of countries a chance to share a common identity with a larger number of people. If one believes, for instance, that ultimately world peace can only come about when people start seeing themselves as members of a single human family and genuinely feel that all humankind are their brothers and sisters, then being European takes people a step closer to this goal than simply being English or British. From such a perspective, the UK’s decision to leave can only be a backward step. Perhaps though there are two overarching lessons to be learned from these events. The first is that when one embarks on a journey, however wonderful the drivers believe their destination to be, they cannot just proceed with little or no regard to their passengers’ concerns. They have to make sure all are on board and seated comfortably. Clearly millions of British people on the EU bus were not. They felt increasingly disenfranchised and resentful and were willing to blame outsiders for their predicament. As a consequence, Britain now faces a period of uncertainty, growing tensions and, over the longer term, probable economic decline. The same fate will likely befall Europe. Graham Simon met the Unification Movement in California in 1981. He has lived in the UK, USA and Japan and worked extensively for international corporations, including IBM, Shell and Itochu Corporation. He holds an M.A. in Economics from New York University. 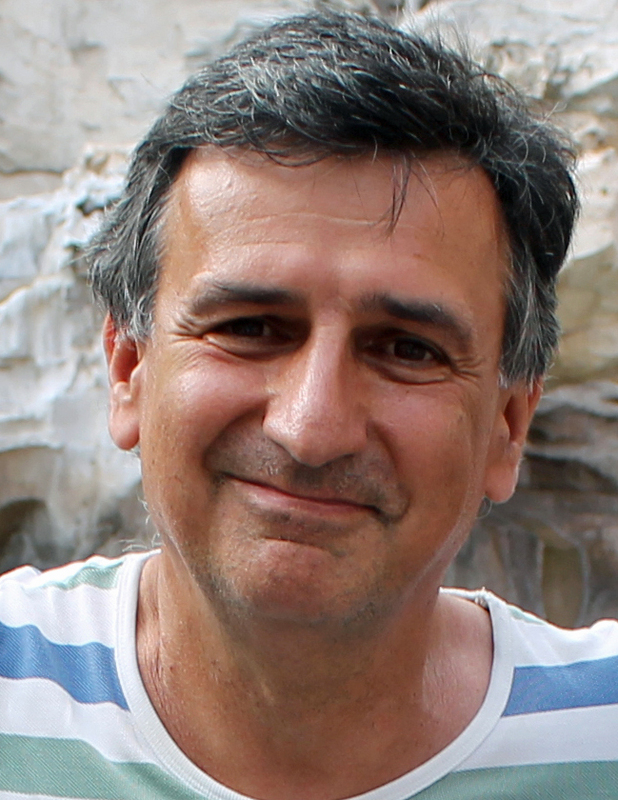 He now lives in London and is a trustee of the FFWPU-UK charity. ← Can the Humanities Still Humanize? Great article, Graham. But I think you miss some important points. While immigration was indeed a huge factor that allowed the Leave vote to go through at this time, there has been almost continual dissatisfaction in Britain with the EEC and then the EU since 1973. Farmers, for example, have never been happy, forced to leave 10% of their farms fallow each year for many years, finding what they produced seemingly passed over from the perspective of the European leaders who were making the decisions that determined the farmers’ livelihoods. Without the government subsidies, farmers wouldn’t be able to make it, even big farms, because of pricing and rules decided by the EU, not by pure market forces. There has constantly been major concern from many quarters in the UK about the loss of oversight of their own country. At the same time, governments throughout the world have taken advantage of rules from the World Bank and other bodies that have allowed the phenomenon of wealth concentration in the hands of the few, while vast numbers of people have been allowed to sink into poverty. Rules that encourage the selling of nature into the hands of private companies who then sell natural resources back to their original owners, the citizens, are just one example. Governments have been able to isolate themselves from their own citizens, transforming democracy into something other than the original intent. Proceeding with an integrated body without facing these factors would have been irresponsible, and would inevitably lead to a world that reflected the same wrong values. The UK tried to influence the EU from within, and the record hasn’t been good. Prime Minister Cameron was able to obtain nothing from them that he could have held up as meaningful reform to stem a leave vote. Therefore the current outcome can be seen as the result of a long and difficult relationship with a body that has crept more and more towards something resembling dictatorship, both economic and political in many ways. But young people in the UK lose the ease of international travel that was previously offered to them. They deserve to be heard and have their concerns addressed. Middle-aged white men for instance, according to the BBC this morning, are a major disenfranchised group today, with little to hope for as they get older. I hope that now we see a move towards listening to all parties, towards discussion of a wide variety of concerns and potential answers, that can let all voices be heard. I hope we see ways developing that allow for more universal participation in the country’s government and that this can lead in the next few years to a better integration of the nations of the world, an integration on a more substantial, more egalitarian base. Well written, Graham. A bit bold too, since the decision is so fresh and many more aspects will unfold in coming days. Noteworthy to add to your well-explained historical start of the EEC is that, for example, the peace-keeping activities in the Balkans in the early 1990s were possible through the vision of the EU at its founding. In my opinion, there is clearly a huge fight between the fallen nature that seeks first self-interest and the desire of the original mind that seeks to benefit the whole. If last September Angela Merkel had not opened the border for the refugees that had been stuck in Eastern Europe they would have had a miserable fate while we would be watching; unimaginable shame would have come to Europe. The challenges that accompany this flood of refugees, which might be a major factor for the rise of nationalism, are a challenge for us all. Even among Unificationists, hostile sentiments against Muslims exist; by this, we can see how serious this challenge among the common people must be. At present the situation is very unclear and it seems that the leaders who advocated Brexit are now hesitating. Cameron first announced he would sign the withdrawal paper of UK’s EU membership at once, but now he seems to want to play with time. The main anti-EU campaigner promises chunks of EU benefit to be still available, which is being clearly denied by the EU. Scotland may very well become independent from England. Two years ago, the main argument in a referendum was that Scotland would have to leave the EU if it became independent; now it is vice versa and more than likely that Great Britain will become small Britain — what a pity. It is generally agreed that the response of the EU to the Balkan crisis was lamentable which is why the US through NATO had to intervene. One has to take human nature, fallen or otherwise, as it is and tailor one’s policies to suit it. If letting millions of Middle Eastern refugees into Germany is going to provoke a backlash it would be better not to do it but insist instead that other Muslim countries such as Egypt or the Gulf states or even Indonesia where they should be able to be integrated more easily. It would be a disaster in these circumstances to act hastily as the Junker and others want. It is important for both sides to think things through calmly so as not to create unnecessary damage to each other. Great Britain by the way is the name of the largest island in the British Isles. The word ‘great’ merely means ‘big’. The name is at least 2000 years old and was recorded as such by the Greeks. It is not and never has been a ‘political’ title as so many non-Britons seem to assume. The Greco-Egyptian scientist Claudius Ptolemy referred to the larger island as great Britain (μεγάλης Βρεττανίας) and to Ireland as little Britain (μικρής Βρεττανίας) in his work Almagest (147–148 AD). This assumption and conclusion are both inherently false. If Britons felt disenfranchised, that’s a product of the system by which they felt disenfranchised. There are many specific, demonstrable reasons how and why Britons not only felt but in fact were disenfranchised. And it was an outside system, alien to English culture and politics. The EU is a deeply European construct, not a British one, and Europe and England have had vastly different mentalities for centuries. So Britons acted to remove that issue from their lives. That they resented their disenfranchisement is irrelevant. I disagree that the people need not be consulted when “epic decisions” are made. Isn’t it the people who are affected by such epic decisions? If you’re worried about “populist politicians and the media manipulat[ing] the outcome by playing on voters’ fears and prejudices,” then exactly how is it you’re not also worried about those same forces playing on the same issues with respect to the people’s elected leaders? Isn’t the whole problem of political corruption wrapped up in the fact that elected leaders fall prey to corruption by giving in to their fears, needs and desires? Is “holding them to account at every turn” just a pithy turn of phrase because the outcome of the people’s will isn’t the outcome desired? And that’s why already people are calling for a re-vote, to nullify the vote, to castigate the voters, to segment all the voters and pit one group of voters against another group, and so forth. In the end, Brexit won’t mean anything at all. It is a simple realignment of national and economic interests that happens all the time. Bumpy in the short term, normal in the long. The EU will repair its structure before it loses more nations, or it won’t. It’ll make trade deals with the UK or it won’t. It doesn’t really matter because the UK’s goods and services will find buyers, as they always have for 500 years. I’ve been reading Rev. Moon’s “God’s Hope for America” speech from June 1976. I do feel this speech, 40 years later, now has the same significance and message for America and therefore for the world — to awaken the spirit in America first and then spread throughout the world. This principle applies to the EU as well. Unfortunately, God has no place in the EU and that’s why it’s crumbling. I think the UK’s departure from the EU is already preparation for big changes that will happen in the USA this election. I like this article by Graham Simon, and I feel that the result of the turmoil that will come to Britain as well as the rest of the EU will result in people turning towards God. As a Unificationist, we know that our purpose as an individual is to serve society, and the purpose of the nation is to serve the world. We need to examine our own motivations as a nation and see that this nation has basically kicked God out. Until we as a nation realize we need to serve our fellow man, by sacrificing ourselves, then there is no future for this nation. I don’t want to spread doom and gloom, but we must try desperately to bash some sense of godliness into the world of politics and economics. Thank you, Graham, for trying to highlight this need. How do you share a common identity between an Italian and a German “human being”? Only God can provide that common identity. In 1995, on their way from Budapest to Lagos, Nigeria, TP had to stopover at Charles de Gaulle Paris Airport. During their short stay, the French police treated them like the worst criminals. They then had to go back to Budapest and find another way to reach Lagos. Moreover, Germany was the first nation to invoke the EU’s Schengen Agreement to ban Rev. Moon from entering EU territory for 15 years. I’m sorry to say that as long as Germany and France are the main players in the EU, there is no hope for any kind of common identity. Good article, thanks Graham. I feel profoundly sad about what is surely a step backwards. Most tragic is the fact that the wishes of the younger generation have been overridden by the wishes of our generation. Why would you say that, Catriona? The elderly are usually more conservative with a small “c.” It is curious to find them acting so radically. In interviews on the box they have said they have voted for what they thought was best for their children and grandchildren. I agree with William Haines here, as, even though young people have many good ideas, wisdom is more with the elders in general. Easy and self-centered travelling for youth should not be a factor to stay in the EU, I think. Europe and N. America should do more in making peace in struggling nations through military means, followed by religious and NGO service to the people, rather than being forced to take in people for whom there is no base for integration. Yet, Britain could’ve continued to be some “light” or beacon of hope within the EU — I would’ve liked to know God’s absolute viewpoint. It is doubtful if the destination could ever be reached. European identity is much too thin to bear the weight of the idealistic vision of the architects of the EU. There is no common language, music, literature, jokes, etc., and the different nations have fought each other often leaving many historical resentments which can easily be roused by nationalist rabble-rousers. So when things become difficult — such as the problems in Greece caused by the euro — the thin European identity quickly gives way to the thicker national identity. In order for such an enterprise to work there has to be huge fiscal transfers from the wealthier to the poorer areas – as happens in the USA, the UK and all countries. People are happy enough to subsidize their compatriots in other parts of the country and even go to war to protect them. But the same feeling doesn’t exist on a European level. That is why although western Germany was willing to transfer huge sums of money to eastern Germany for years to rebuild it after reunification it is not willing to do the same on the necessary scale to Greece. So the European bus tried to go too fast to a destination many people did not want to go to. And at the same time, the leaders of the project were not willing to listen to the voices of ordinary people who didn’t believe in the project or who were adversely affected by it. Also, the bus being used to get to the destination might be the wrong one. So a lot of this is about identity politics. If there was a thick European sense of identity I think the project could work in the long term. But I don’t think it could work based on the EU which is essentially a political project to create a country called the EU with a European government, single currency, single legal and judicial system, European army and defence, etc. It could IMO have worked based on the much looser approach of EFTA which was about promoting free trade but didn’t have the political pretensions of the EU — European government and European laws that trumped national laws, etc. Then as time developed the EFTA model could have liberalised movement of people, etc., but not in the way the EU has done by making it an article of faith. This I would suggest was the model being pursued by the UK and a number of other smaller European countries until the EEC became the biggest game in town. I am also not a fan of referenda in the UK. It works if people are used to it and it is an integral part of the political culture. The UK is a representative democracy though. The problem is parties were split on this issue and so it could not be resolved satisfactorily in Parliament. When we boarded the bus in Rome in 1975 we thought we were just on a bigger and better version of the EFTA bus with more important people in it. When it became clear it wasn’t and many of the passengers became nervous, it would have been better to pause and take stock. Then we could have got off the bus at Maastricht instead of going past Lisbon before jumping off and breaking our legs. Thank you, William. Your comments are indeed quite helpful, and I also read that passage by True Father a few weeks ago. It is unfortunate that the bus we have jumped off looks as if it is heading downhill fast with no brakes. Father also said in the late 1990’s that the materially rich so-called “Western nations” would decline into an economic slump and that the Pacific Rim nations would rise up. I believe that what is happening now is the serious beginning of the worldwide decline of the “Western nations”. The next event, due to happen soon, of course, is the US election, which will probably bring an enormous amount of unhappiness whichever side wins. I, for one, cannot imagine that either candidate has anything particularly selfless or spiritual on their agenda, so it looks to me as if the USA is also on a serious downward trend. Good article, Graham. I particularly like your “two lessons,” the first being drivers oblivious to passenger concerns. The EU is largely a nameless, faceless, administrative state, equipped with all the elements that make for a Leviathan. There is very little accountability to the power bureaucrats hold over EU members, and while the idea of an EU might be providential, its implementation has largely violated principles of good governance. The second lesson, the idea of “direct democracy,” is also a problem, and contrary to what Christopher says, I think that referendums like this one have characteristics of “majority rule” which is a slippery slope to “mob rule” because: (1) referenda do not protect minority interests, and, (2) referenda that require a simple majority are nowhere near a consensus. For a government or legislation to be perceived as legitimate, it must be supported by an overwhelming majority, not just 52%. I would argue that 75% to 80% is a better reflection of “consensus.” Otherwise, the winners view the vote as legitimate and the losers do not, and internal strife is increased. One issue left out of the article is whether the EU was entered by Britain with some overwhelming consensus of all parties, or with a slim vote of just over 50%, mainly supported by the party in power. If the latter is the case, it would be proof that a simple majority is inadequate for such momentous decisions. I agree. The advantage of representative democracy is that the representatives engage in conversation and discussion with other representatives and come to a compromise that as much as possible everyone feels they can live with. The disadvantage of deciding matters through a referendum is that the “winner takes all” and the losers, which may be 49%, are angry and rightly feel they have suffered an injustice. In the UK, there clearly isn’t a mandate to leave completely but there is a mandate for a serious restructuring of the UK’s relationship with the EU. When the UK joined the EEC, the country was split but there was a referendum two years after joining when 2/3 voted to stay in. It has always been argued that the leaders of the IN campaign lied about the way things would turn out. So one can see this result as buyer’s remorse. It seems like referenda may better function as a feedback mechanism, like the UN General Assembly, rather than carrying legislative power. They tend to highly correlate to fads, mass media, and political rhetoric, none of which are a reliable source of sound principles of governance. I am grateful for this important insight. 1. 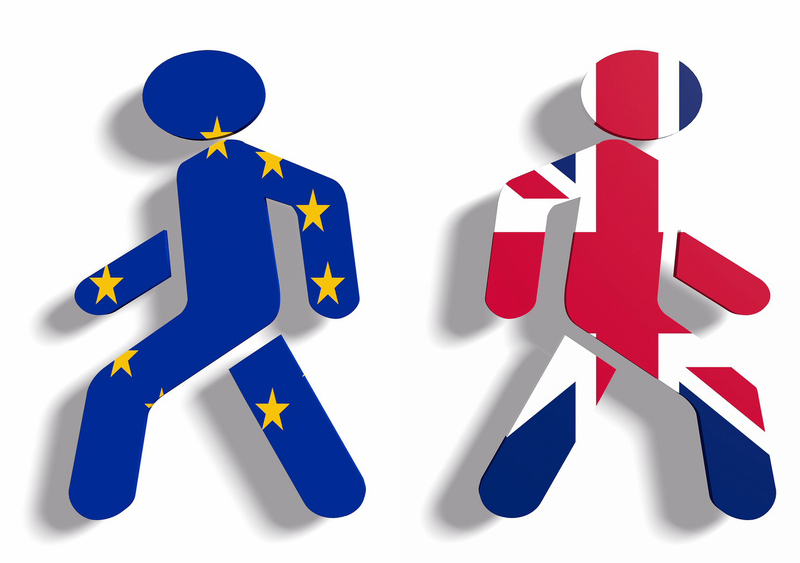 Backwards looking — the EU had confined the UK into a sort of straight jacket which, while opening continental markets, forced the UK to alienate its much larger and more natural market – the Commonwealth. 2. The UK has always been, at least since the introduction of the Magna Carta, in the Abel position to the continental Cain. Putting the UK in the position of just another province of the continent would rob the world of a strong voice on God’s side. Well-written Graham and sadly true! It is estimated that only 36% of young people, 18-24, votedn the referendum. Tantalising issues of immigration demography and national identity. What will American and British societies look like, say in 50 years, if the present demographic trends continue, with the apparently falling birthrate among the original stock population? With what consequences? As days go by, the two main players behind Brexit have now left the sinking boat. They seriously say (but cannot mean) that they have achieved what they wanted and now it is time for others. They were acting like a demolition squad but without a construction plan. I have relatives in Britain and my father was British until 1966. My experience in Britain is/was that British greatness rests upon her ability to accommodate many different nationalities, especially from the commonwealth (a beautiful expression in my view). My impression was that it was also a sense of pride of the British hinting towards its history. One of the main reasons for the withdrawal from the EU is the migration towards Britain numbering half a million per year, half of them from Eastern Europe (if the numbers are correct). Inhabitants fear many things and do not like to share the social services which are part of the accomplished living standards. On the other side, there are 800 million people in this world who have not enough food to eat to live an active life. Here farmers worry about their existence because of the low pricing of agricultural food in overproduction. Nature in this respect is superior to fallen human beings in that domestic nature never repels migrating birds and other animals. They not only come here to Iceland from Africa without visas, they nest, eat and drink, have the guts to bear many cubs and raise them, making a hell of a noise (music to my ears). Bringing immigrants who do not have any intention to assimilate into the culture and obey the laws of your country but want to overthrow it in the future is a suicidal idea. Shariaism needs to be stopped. Your comment typifies the discussion in Europe right now. However, I would argue that this is a secular viewpoint. Through UPF work over many years, there is a foundation created that can handle this problem. The issue at stake is whether this world will recognize it or not and it boils down to this end. In my country, I recently had a discussion with an Imam about what makes a woman attractive, in which I realized an openness for new viewpoints. He also spoke at our event on UN Peace Day. Having give and take with him regularly gives me the confidence to know and trust him and not to label him. Another pillar is WFWP. Women leaders are a powerful, if not the most powerful weapon, at this time to combat violence. In my view, we do not need to be afraid of Muslims taking over our country in the future. We need to be concerned with practicing our own belief as well as Christians need to do. I know of one pastor who successfully testified to Muslim refugees in my neighborhood. In many European countries, members of the UC complain about the resistance they experience while witnessing. Perhaps going into refugee camps and witnessing there would be a chance to gain members and to combat radicalization and poverty. Killing three flies with one swat (German expression on sufficiency). As long Germany and France keep drawing the line for anything and everything, they will be the only countries in the EU to get any benefit. All the other players will have to roll up their sleeves and do the dirty work. Thank God the British have understood the game. With regard to the younger vs. older conundrum (an issue, BTW, that we are dealing with in UC), there needs to be a balance and too often young folks don’t have the “worldly” perspective that older ones have due to their experience. Youthful idealism has a place, but as history has demonstrated, emotion and enthusiasm that is not tempered by reason and moral certitude can lead to all sorts of proclivities. In my profession of orchestral conducting, the great conductors — Szell, Haitink, Abbado — to name a few, did the best work after the age of 50. Even the mercurial types like Bernstein and Muti mellowed and brought greater depth to the music they conducted in their latter years. Experience matters. That said, individual freedom must be preserved and protected from “the state.” As F. A. Hayek, William F. Buckley, Jr., Thomas Sowell and others have asserted, there is too much diversity of circumstances in any given group, organization or nation to prescribe across-the-board remedies without infringing on individual liberties to some degree. The question is always about how much do we give up? Is it up to “the state” to decide and/or mandate that? I think not. The Brexit vote was an exercise in democracy. Majorities have rights too. That’s always a hard lesson for those on the losing side of any election. In any judicial proceeding, there are winners and losers. Justice is not always a win-win proposition. Part of any attempt at establishing a democratic culture means accepting the results of voting. And in the Brexit case, the vote was very close. This is a simplified and actually dangerous misrepresentation of what the Principle teaches. It leads to the habitual and casual disregard of the object in what could be called a “Subject-Object” dynamic. A more accurate way to phrase what the Principle teaches in this matter would be to say that our purpose (although, I prefer the word “role”) as an individual is to engage with and be a part of society in a way that “equally” yet proportionately benefits both the individual and society. The only time an individual should be called upon to forego their proportionately equal benefit from the engagement should be when circumstances have become so dire that the society’s existence is in danger. This is because the society can survive despite the destruction of any given individual but all individuals will not survive if the society they are part of is destroyed. The great error is that this very rare excretion to the general principle is taught as if it is the norm rather than the exception. This quickly leads (and has long been widespread in the world UC culture) to a sad situation where people conflate “neglect” with “sacrifice.” Sacrifice without need is evil. One simple example is that if parents cancelled quality time with their children because another family was starving to death and instead used the time to help them then this would be a holy sacrifice. Whereas, if a family “sacrificed” quality time with children just for the sake of adherence to a principle of sacrifice then their actions would be evil. The purpose of an individual is not to “serve” society, but rather to partially make up and be part of society. In this case, the term “serve” is no more appropriate than one of a group of four friends paying one-fourth of the fuel cost for a three-day vacation drive and claiming they “served” the group by doing so.